Tree of Life has a long history of symbolism, crossing many cultures. Seen as a symbol of a fresh start to a person’s life, focused on positive energy, good health and a bright future. The tree has roots that reach deeply into the soil, acknowledging the connection to, and accepting nourishment from, Mother Earth. Leaves and branches extend into the sky, acknowledging Father Sun and accepting the energy that it transforms into nourishment. Reminding us that we are not an island. We are deeply connected, rooted to the world around us and dependent on it for our ability to grow and thrive. The Tree of Life represents a symbolic connection to our ancestors. 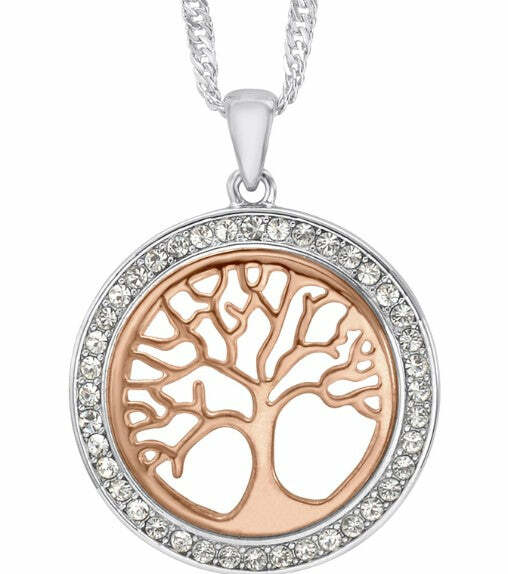 The tree symbolizes the generations in a family; a tree sprouts from a seed, grows and branches out, and creates a new growth that gives life to the next generation. The Tree of Life also symbolizes rebirth. In the fall, trees tend to lose their leaves and enter a hibernation like state. In the Spring, the tree sprouts tiny buds, and suddenly awakens with dramatic color, blooms and leaves appear like it is being born again.